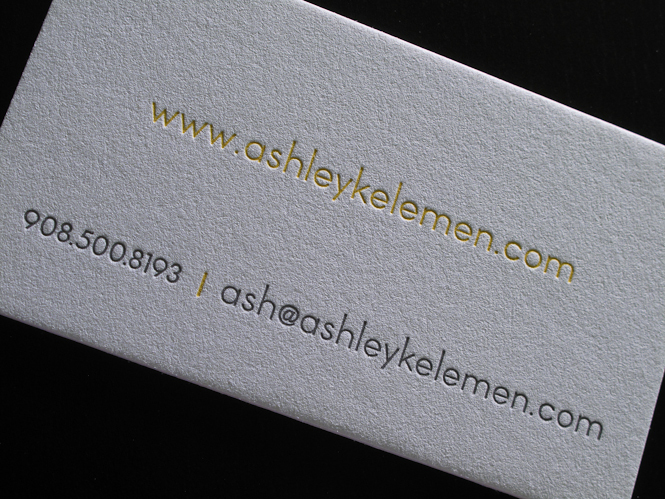 Ashley contacted me a few weeks back regarding letterpress business cards. 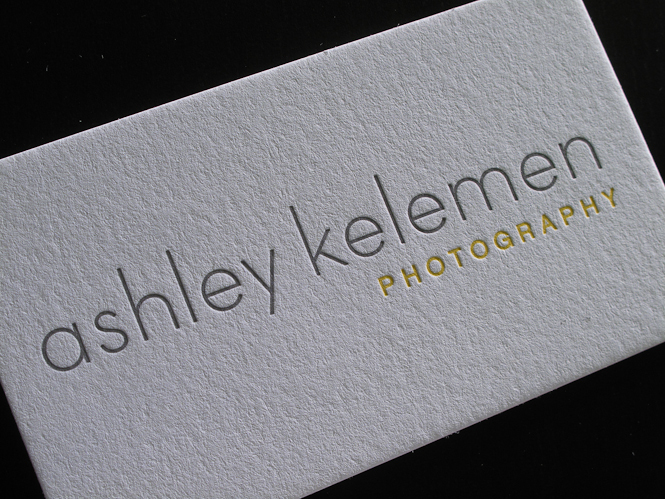 She’s a fantastic photographer located here in Southern California (check out her awesome work here: http://ashleykelemen.com/). 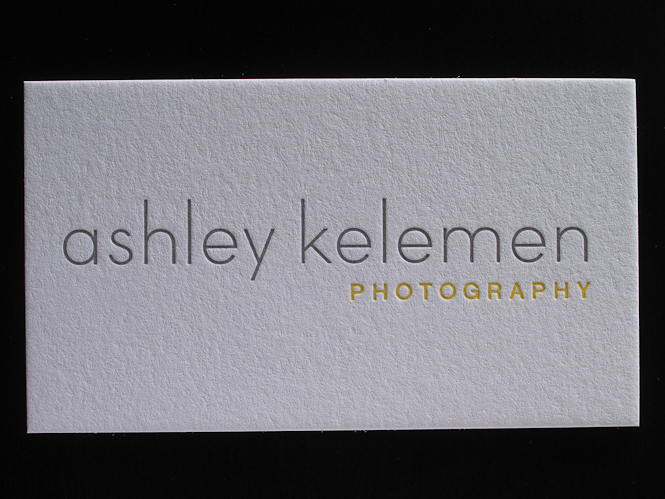 She wanted 2-color front/2-color back business cards with her logo and the colors grey and yellow. I love the simplicity of these. 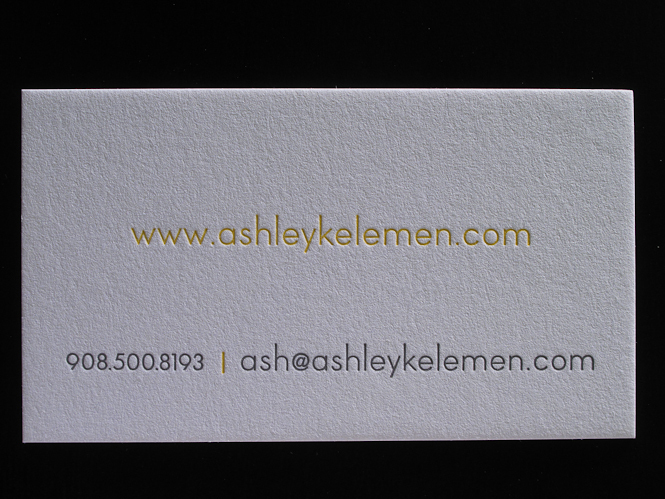 These were printed on 110# pearl white cardstock and duplex together making a 220# card. Our Gatsby Inspired Letterpress Wedding Invitations are featured!